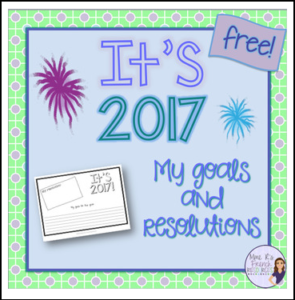 2017 Goals and resolutions writing activity for any class. 3 different writing activities to meet your needs! Makes a great portfolio piece and a very cute bulletin board!